There are three levels or types of a software prototype. Each type has different levels of fidelity. These levels range from low to high, depending on the level of detail and functionality incorporated. Each level of prototype serves a purpose and provides key insights into how the final product will look and feel. Much like any other kind of prototype, a software prototype is an incomplete model intended to be used for testing. Using prototypes to test provides visualisation of the design and functionality in addition to being able to provide insight into user behaviour. 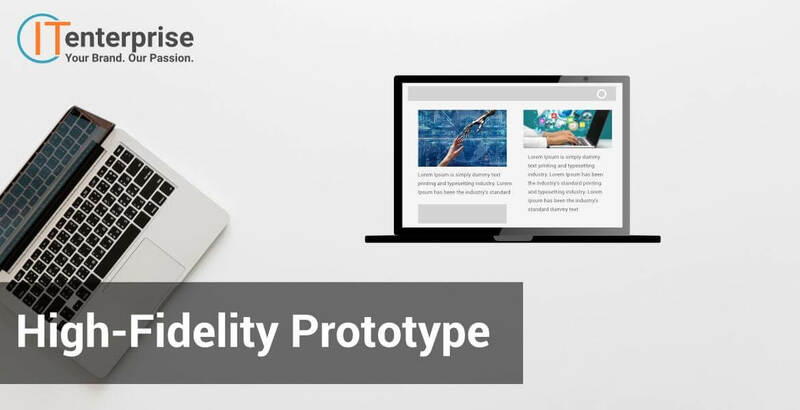 Low fidelity is the most basic type of software prototype available. This will only incorporate the key elements of the product, such as very simple visuals such as shapes, and important content like titles. There is no functionality to these prototypes, they are a series of static screens that may be scrolled through to mimic a user’s journey and actions. In fact, a low fidelity prototype might not even involve software. It could be a paper prototype. This makes low-fidelity prototyping very quick and easy to create. It is also very easy to change, and cheap. 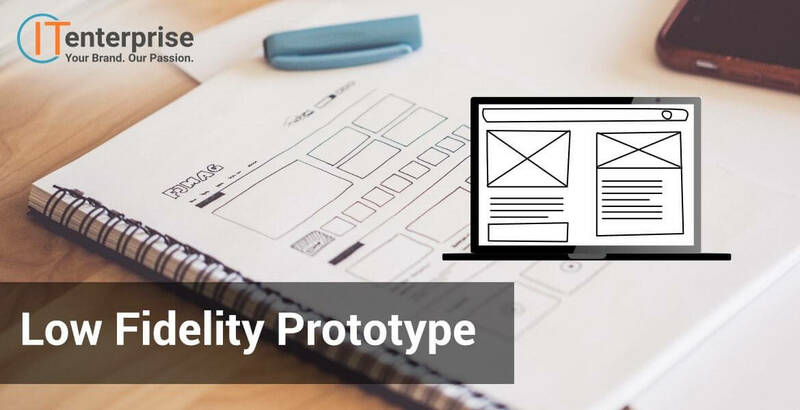 Low fidelity prototypes help to collect and communicate concepts to designers and clients. A paper prototype will still help to realise ideas and provide a basic visualisation of a product. Using a simple paper prototype also helps to begin the creative process and stimulate idea generation. And despite being paper, you can even test the basic navigation. Due to the simplicity of the prototype, functionality cannot be tested. As it is often sketched, you also cannot get a detailed idea of how the product will look. It also would be unclear to users what items are interactive. The basic look and lack of interactivity also mean that the prototype requires a lot of imagination to understand how it would work. A mid-fidelity prototype represents the middle ground between a low and high fidelity prototype. This means that it offers some of the key content and functionality that will be used in the product, but it will not contain all. It might mean photos and graphics are missing, or some of the high-level interactions such as animation are not present. It will most likely be a series of wireframes that are linked together to give some levels of interactivity. Because a mid-fidelity prototype offers the key interactions of the solution, it means it can be used with users for test purposes. This allows you to gather insights into their behaviour and interactions with the software, which you can use to refine the solution further. Like the low-fidelity prototype, the disadvantages of the mid-fidelity prototype stem from the limited functionality. You can only test what you have built, and you won’t get a clear representation of what the solution will look like. A high-fidelity (hi-fi) prototype is created to work as closely to the finished product as possible. It has a high level of detail, including all the visual aspects that will appear on a site, all links, and most content. In many ways, this type of prototype could be mistaken for the final product. Due to the high level of detail, a hi-fi prototype is able to test user behaviour and gain insight into their interactions with the product. This is because it acts as the finished product will, and users are more likely to interact with it as if it were the real thing. The high level of interactivity and functionality also means that you can even test details to the software, like animations or transitions. Finally, the hi-fi prototype is perfect for demonstrative purposes. Making it a great asset to show to stakeholders, for the same reason it works well for testing. It helps to visualise the concept and final product and offers an opportunity to experience the look and feel of the software. A hi-fi prototype can also be scaled for device optimisation. This means you can test it on mobile, tablet, and desktop, giving you ideas and insight into how it works for all users. A prototype of this level of detail and functionality will take a lot longer to develop. This obviously means it is a slower process, and more expensive. However, with a prototype of this kind, it can often be used as the foundation for the product. So if you choose to pursue the project, it will save time in the initial build as a lot of the work already exists. 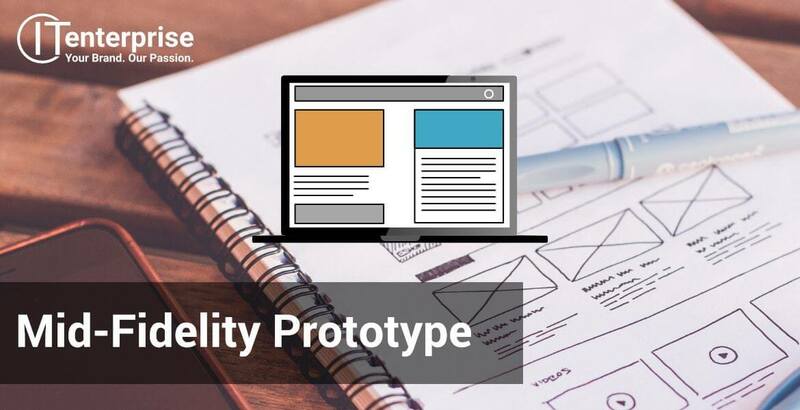 If you want to create a software product – be it a mobile app or web system – you should consider prototyping. Regardless of the type of software prototype you use, it will prove invaluable in the development of your solution. This is because of the level of UI and UX testing it allows you to carry out. This gives you a better understanding of your users and how your software can best serve them. Testing with a prototype will also give you the clearest representation of your product. It will also allow both you and the developers to better understand and visualise concepts and collaborate. Prototyping can be difficult or a non-developer, especially at the higher levels. But whatever level you’re at, and types of software prototype you’d like to develop, we are happy to help. Contact us today to discuss your goals and we’ll help you to achieve them. 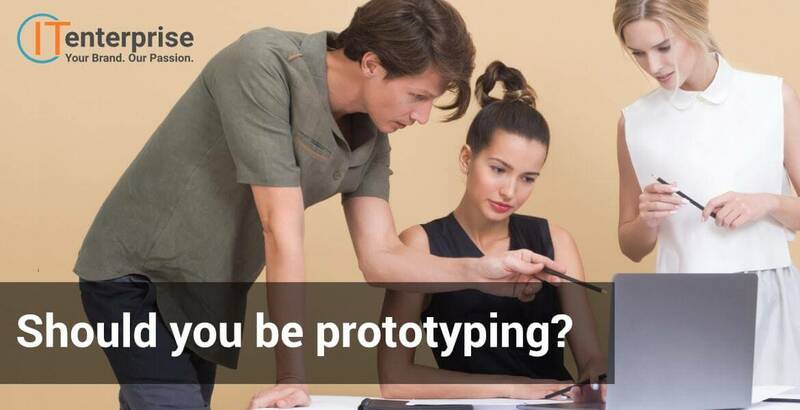 Do You Need to Prototype Your Mobile Application?